After a June day with a lot of rain it finally stopped in the evening and I went out for a walk in and around Machir Bay. 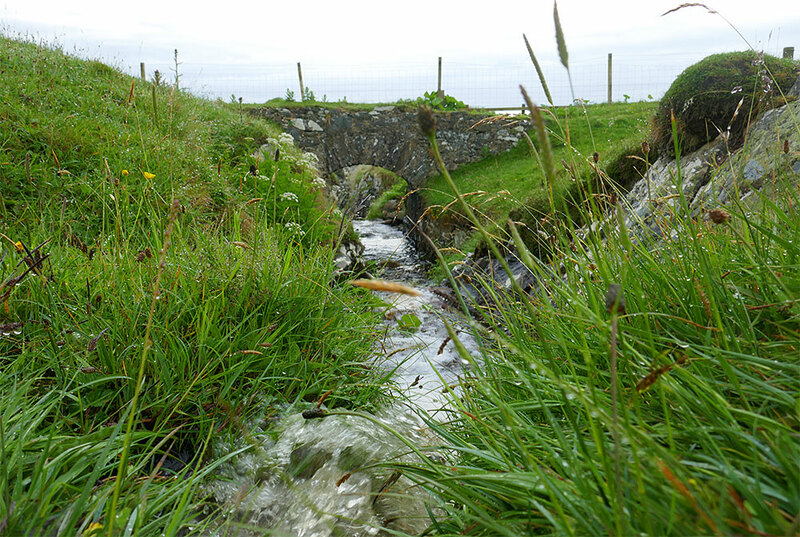 At the track to Kilchiaran the wee burn (not sure of its name?) running down the hill was full to bursting, rushing down towards the old bridge, under it and then down into Machir Bay to flow into the Atlantic.